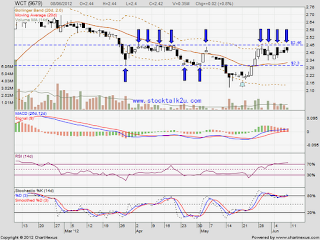 8 June 2011, WCT retest RM2.45 resistance level. MACD moving toward positive region, uptrend itinerary. Stochastic %K on overbought stage. 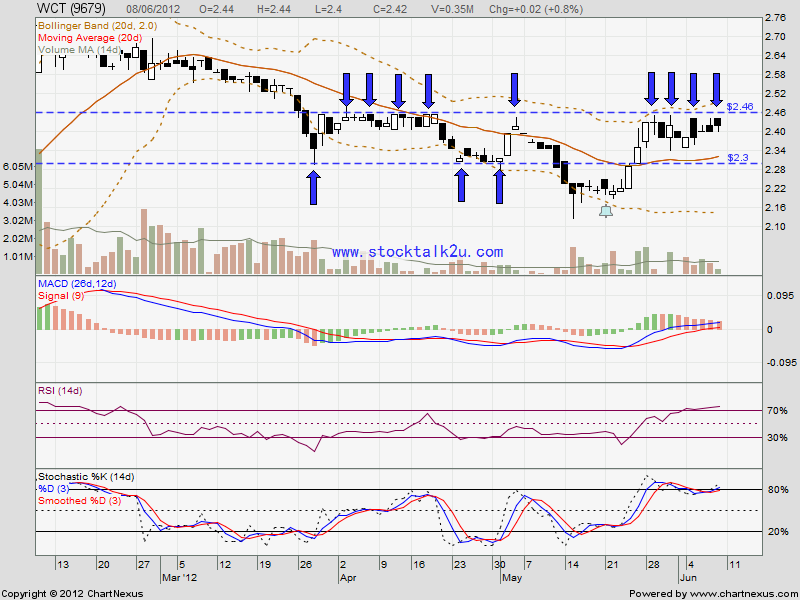 If break through, RM2.46 level, potential retest RM2.73 high. If retrace down, MA20 is immediate support level.